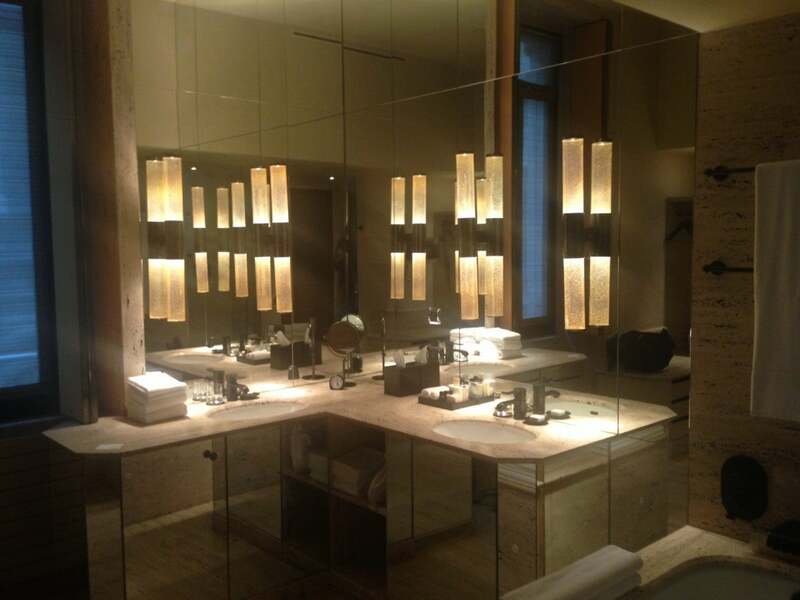 The Park Hyatt Milan was the second hotel stop on my recent trip to Italy. My friends and I spent our first two nights at the St. Regis Florence, then traveled by train an hour and 45 minutes from Santa Maria Novella (Florence) station to Milano Centrale. 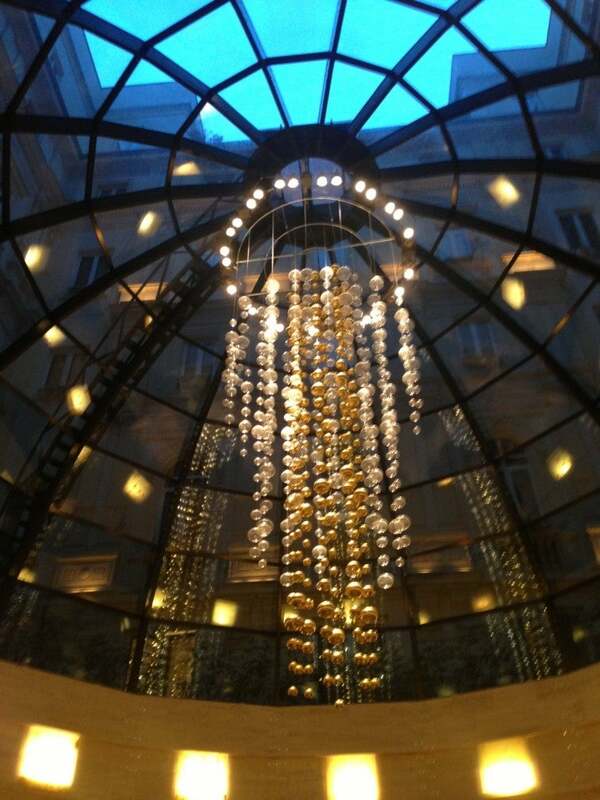 From Milano Centrale it was about a ten-minute cab ride over to the Park Hyatt. 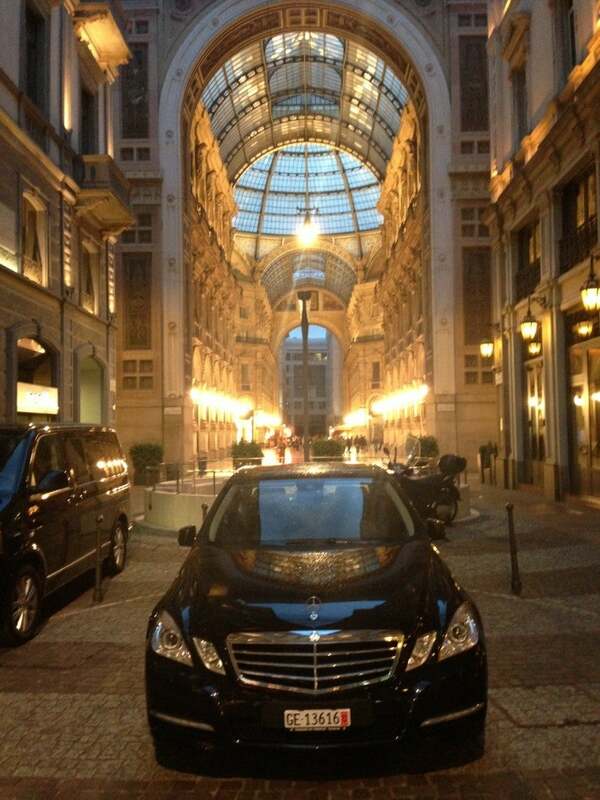 In front of the Park Hyatt Milan. The Park Hyatt Milan is situated right outside of Galleria Vittorio Emanuele II (the world’s oldest shopping mall) and minutes away from some of the Milan’s most popular tourist attractions like the Piazza Duomo and Teatro alla Scala Brera Art Gallery. For those of you who might be in Milan for business rather than pleasure, the Park Hyatt is also just a short distance from the financial district and stock exchange. When I applied for the Hyatt Visa last year I was a Diamond member, which meant my sign-up bonus two free nights would be in a suite. Platinum members get two suite upgrades for paid stays and regular members who get the card get two free nights in a standard room, which is still a great bonus if you use them for expensive rooms. Note: the best Hyatt Visa offer is usually at hyatt.com when you go to make a reservation (logged out of your Gold Passport account) a box should populate with the 2 free nights plus a $50 statement credit. A few months ago I realized I had a Suite Night Award that was going to expire at the end of March. 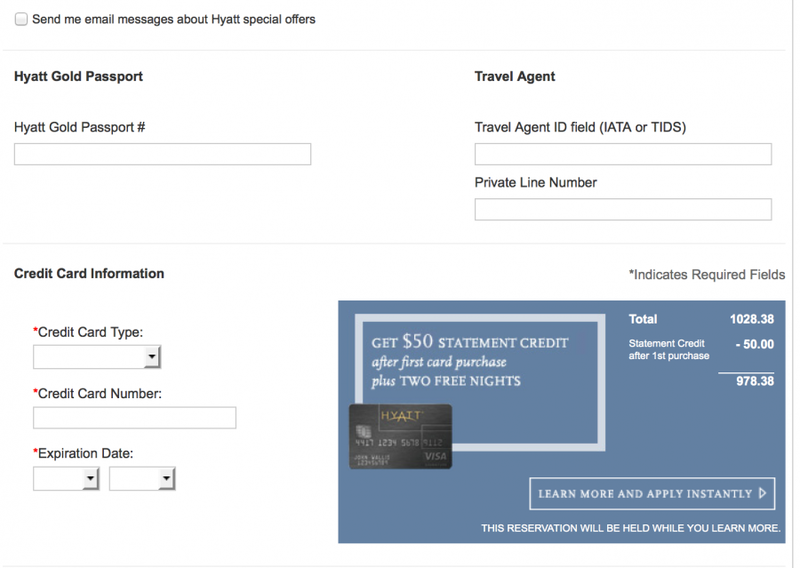 The first time I called Hyatt Gold Passport to try to use the award for a booking in May, I was told the stay had to take place on or before the expiration date. I tried my luck a few days later and the representative had no problem extending the date for me and booking me a suite at the Park Hyatt Milan. I was welcomed with a bowl of fruit and two bottles of water. 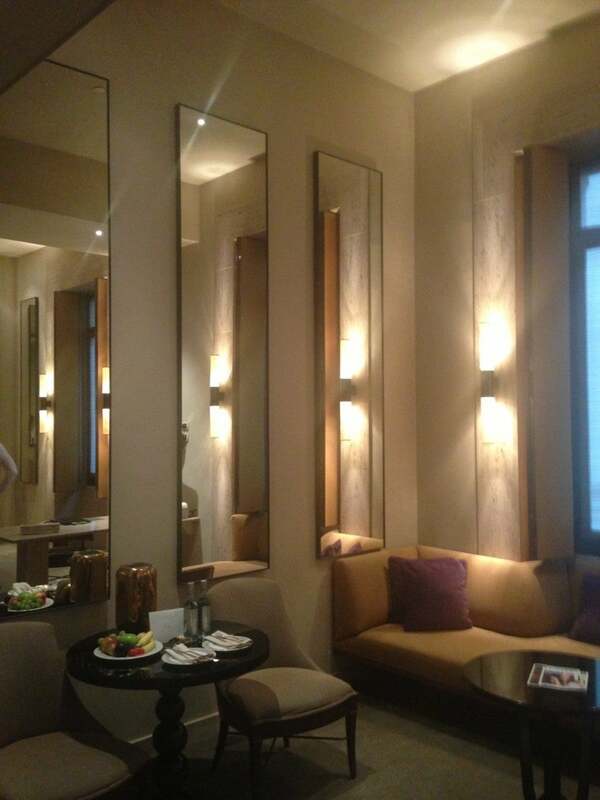 I was placed in a Junior Suite which usually costs around 860 EUR ($1,105) a night plus tax. For the second night of my stay I had booked a standard room using 22,000 points. The hotel was very accommodating and had emailed me a few days prior to my stay confirming my reservations and letting me know that I would be able to stay in the Junior Suite for both nights instead of having to move rooms which is always a nuisance. 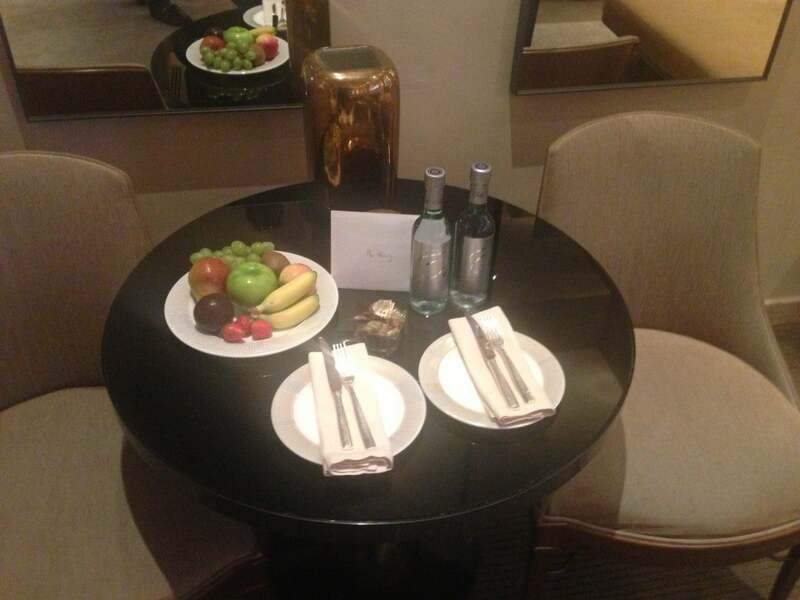 As a Diamond amenity I also got a bowl of fresh fruit and two bottles of mineral water as well as free room service breakfast. My room was nicely furnished and had a small living room area with a sofa, small coffee table, work desk and dining table for two. The entire room was about 480 square feet, though it felt bigger and had complimentary high-speed wired and wireless Internet, which I of course always love. King bed in the Junior Suite. I had asked for a room with a king bed although you could also have requested to have the bed split into two twins. The bed was very comfortable with non-allergenic pillows and crisp white linens. The bathroom was huge. As you can see in each of the pictures above, there was no shortage of mirror space and since the bathroom was so big, the minibar was actually under the bathroom sink, which I think was a first for me. 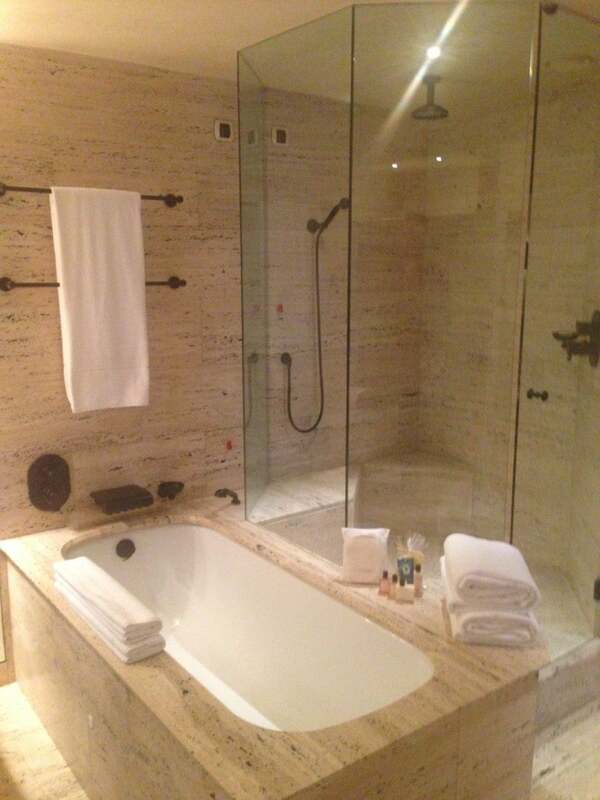 Deep bath tub and separate rain shower. On the opposite side of the bathroom was a deep soaking tub and an oversized rain shower. The monster bathroom also housed the closet, which had more than enough hanging and drawer space for even the most well-heeled travelers. 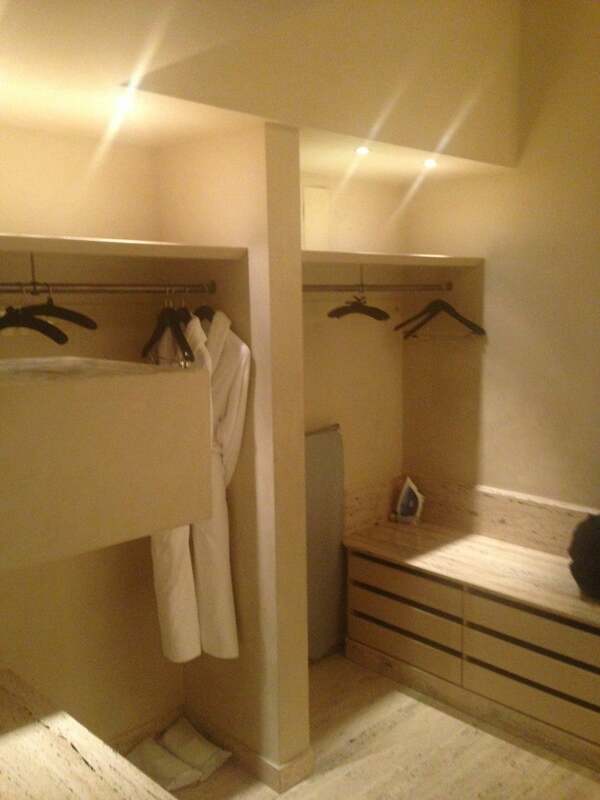 There was also a safe, iron, ironing board, and two robes in the closet as well. 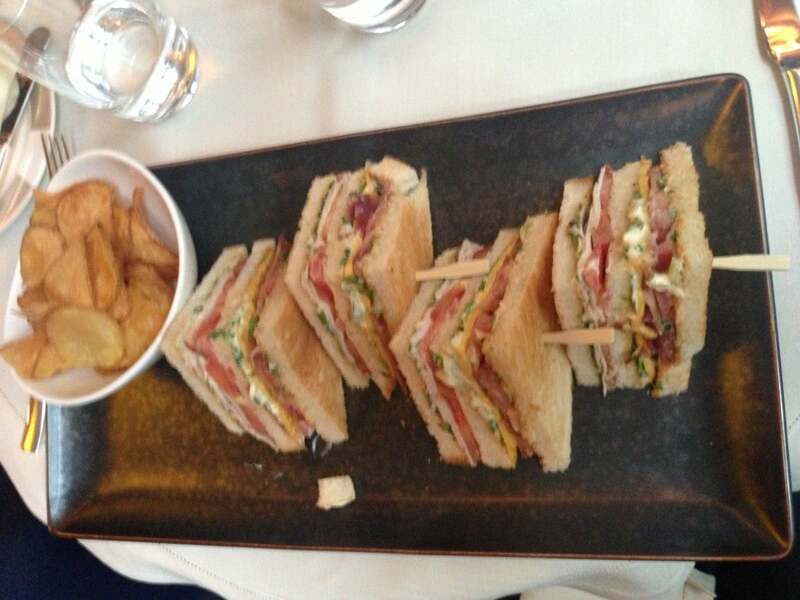 One of my favorite club sandwiches ever from the bar. Our main reason for being in Milan was to catch the Beyonce concert at the Mediolanum arena, which is on the outskirts of the city (about a 30-minute drive from the hotel). The concierge informed us that getting a taxi, in the rain, after the concert would be nearly impossible, so he arranged a sedan which would cost 120 Euros for the dropoff and 60 euros an hour therafter to wait for us. While pricy, the four of us split it since there weren’t many other options.We also wanted to pad timing for traffic, so we decided to just grab a light dinner at the hotel lobby bar- especially since we had had two decadent dinners the preceding two nights in Florence. The service and food was good all around, but I have to say the club sandwich was one of the best I’ve ever had- and I’ve had my fair share of hotel club sandwiches! I actually have a couple friends who want to start a website dedicated to hotel club sandwiches, so Greg and Tom, I hereby nominate the Park Hyatt Milan! We also had after concert drinks at the Park Bar, which is located right off the Cupola Lobby Lounge and has a decent selection of wine and other nibbles. Other dining options within the hotel include the Restaurant VUN, La Cupola, and Dehors. I have mostly been staying at Starwood hotels, so my Hyatt balance was pretty low. To book my second night I transferred Chase Ultimate Rewards points to my Hyatt Gold Passport account, which took about two minutes to transfer (you have to log out of your Hyatt account and then back in for the balance to update.) Hyatt recently made it much easier to check award room availability online, so using Chase points for Hyatt stays is as easy as ever. The Chase Ink Bold and Plus each have 50,000 point signup bonuses after $5,000 spent within three months (2 nights at this hotel, plus 6,000 points to spare) and the Sapphire Preferred offers 40,000 points after $3,000 spent within 3 months. All three cards their $95 annual fees waived for the first year. 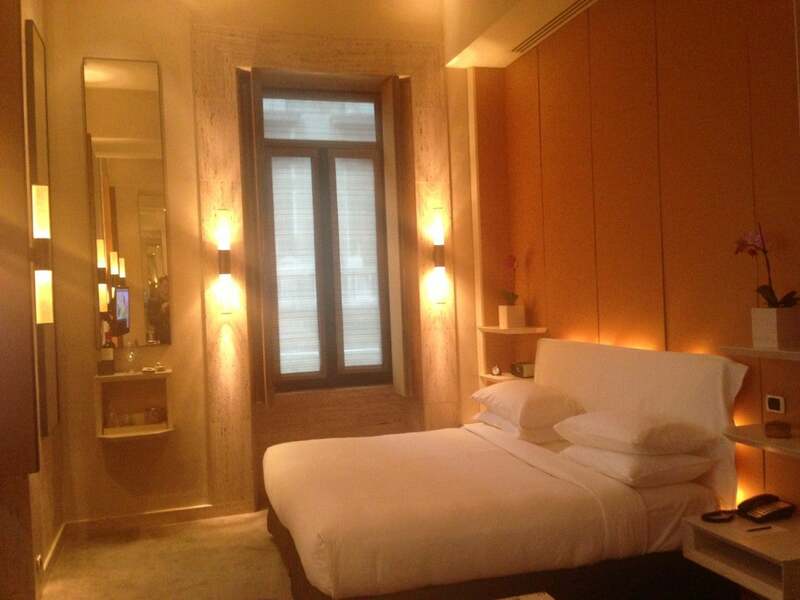 Value-wise for my points, I felt like the Park Hyatt Milan was a great redemption. The staff was excellent and the hotel is centrally located- especially if shopping is on your to-do list. While a lot of my friends naysayed Milan, I had a great two days and in an upcoming post I’ll highlight a top-notch dining experience at Da Giacomo, which was recommended by some fashionista friends (and lo and behold we sat next to Michael Kors). While Italy may have more stunning cities and destinations than Milan, I personally enjoyed my visit and when my travels call for it again, I’ll be burning my Hyatt points to stay at the Park Hyatt again.